Photo by Kara Pearson Gwinn. 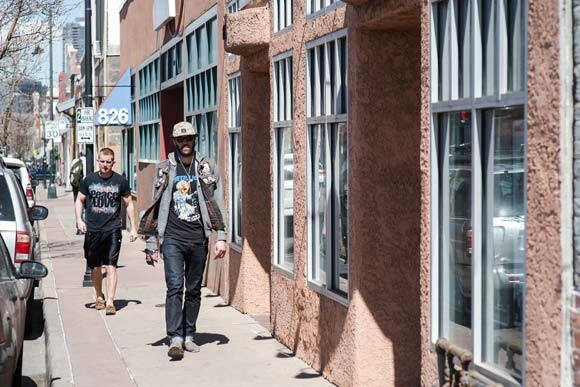 The Art District on Santa Fe has long been a crossroads, located at the intersection of Santa Fe Drive, which follows the old frontier trail to Santa Fe, New Mexico, and U.S. 6, the prime route west to the Continental Divide before I-70. Location helped make the area a center for commerce and manufacturing more than a century ago. Many of the buildings served as factories and warehouses in the late 1800s. The industrial nature of the strip kept it gritty, and that kept it cheap. And that affordability was integral in its ascendance as a creative district in recent decades. 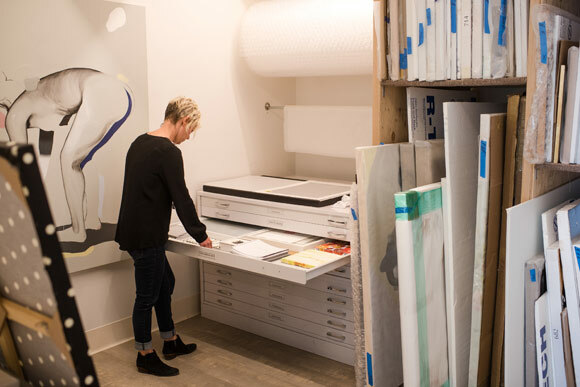 In the late 1990s and early 2000s, as rents jumped on Broadway and in the Ballpark neighborhood, artists started looking for cheaper studios and galleries. The old buildings on Santa Fe Drive were ideal, and soon there was a critical mass of galleries a mile south of downtown. 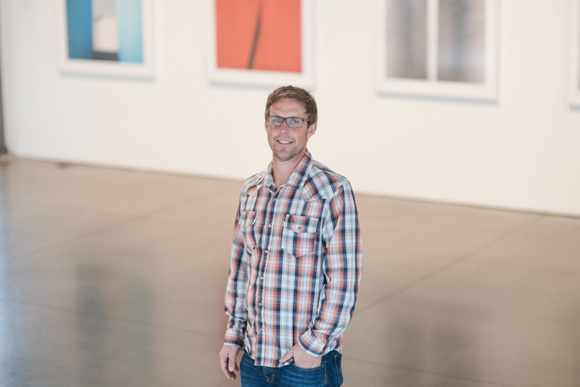 Michael Burnett, owner of SPACE Gallery, was one of the first artists to move south from Ballpark to the Art District on Santa Fe when rents spiked downtown. "We started out in 2001 at 20th and Larimer," says Burnett. Michael Burnett opened the original SPACE Gallery in 2003. Photo by Kara Pearson Gwinn. He caught wind of Jeanie King's plans for Fresh Art Gallery and rented a 1,400-square-foot space at 765 Santa Fe Dr. "She and I opened on the same night [in Jan. 2003]," he says. It was the beginning of a new era for the neighborhood. "There was enough of a concentration that it tipped," says Burnett. "It was the perfect storm. 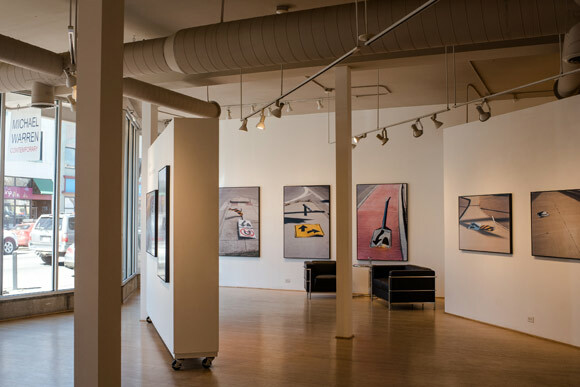 There was real estate that was cheap that lent itself to good gallery space," with high ceilings, abundant natural light and second stories for studios and living quarters. "Artists don't need much," he says. Later in 2003, Jack Pappalardo, a lawyer, and his wife, artist Georgia Amar, bought their three-story building at 828 Santa Fe Dr. that housed a millinery -- a hat factory -- in 1883 and transformed into it a gallery and studio. In the early 2000s, for around $300,000, an artist could purchase "a classic live/work space," he says. The Art District on Santa Fe was established that year with 17 galleries. Pappalardo, who served as president for 10 of the organization's first 13 years, says the membership dropped to 12 after one year. Dues were $50 a month, and it was simply too steep for struggling businesses. Pappalardo dropped dues to $30 a month, and opened membership up to a broader base of businesses. "I followed the lead of The Rise of the Creative Class," he says. The landmark Richard Florida book "talked about the economic benefit of the creative class and quantified it." The strategy worked as the district's membership grew to include about 70 artists and businesses today, including dozens of galleries. "We grew steadily every year from 2004 on," says Pappalardo. "What has changed, we've attracted a wider variety of businesses down here. It's not just galleries." Renowned photographer John Fielder relocating his gallery from Cherry Creek North in 2006 was "a stamp of approval," says Pappalardo. "We've had a lot of steps like that, milestones that took us to the next level." Three big ones, he says, were Su Teatro acquiring the Denver Civic Theater and Metropolitan State University of Denver opening the Center for Visual Art (CVA), both in 2010, and the 2014 opening of the new Colorado Ballet building. Along the way, First Friday emerged as a phenomenon. The first such event in 2003 drew about 20 people to two galleries. The Aug. 2016 edition attracted a crowd of 14,000. When the district's board turned over in March 2016, Amy Phare took over for Pappalardo as president. "If there's one thing we're all about this year, it's community and access," says Phare, who works in philanthropy by day. "I think that is one thing that's cool about our neighborhood: the diversity. We celebrate a number of cultures." She says the goal for 2017 is to "break down gallery walls." Another goal: a big investment in the street itself. "Santa Fe Drive has not seen any infrastructure improvements in 30 years," says Phare. There's a push to get funding from the General Obligation Bond that will be on the November ballot in Denver. For $7.7 million, give or take $1 million, such a project would widen the sidewalks and improve infrastructure on Santa Fe Drive between 6th and 14th avenues. 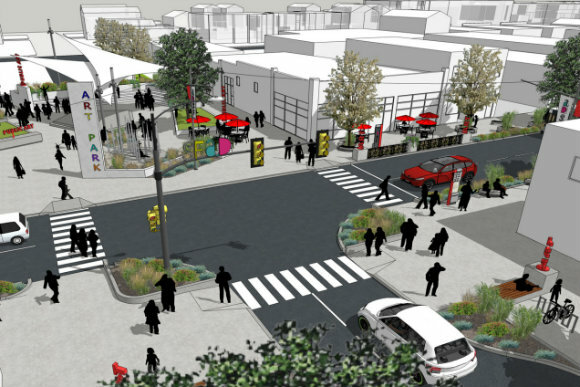 The plan calls for wider sidewalks, a plaza and public art. Rendering courtesy QUA D.
"We definitely have a voice in trying to get part of the $550 million that's on the table right now," says Phare. "But it's all politics at the end of the day. Just because we have the need doesn't mean we're going to get the funds." Architect Mark Raeburn of QUA+D has helped develop the plan, and highlights accessibility, safety and sustainability as big priorities. "The sidewalks don't really meet the Americans with Disabilities Act or the city's pedestrian plan," says Raeburn. "They aren't safe right now." At certain bottlenecks, there's just two feet between gas meters mounted on storefronts and streetlights. "The sidewalks are crumbling and you can't walk side by side," says Raeburn. "I can't tell you how many times I've walked into a light pole." The plan calls for the elimination of one lane of traffic to make room for wider, ADA-compliant sidewalks, and adding upgraded lighting, public art, branded signage and a pedestrian-only plaza on 9th Avenue between Santa Fe Drive and Inca Street. "We're proposing turning part of the street into a hardscaped urban plaza," says Phare of the last element. "I feel that's what's really missing." She describes it as both "an art park" and a "community gathering space." Adds Raeburn: "These improvements are not just so we can bring 14,000 people on First Friday. These improvements are being made for the permanent economic development of the corridor." It harks back to the days when both Kalamath Street and Santa Fe Drive were two-way streets, before the suburban boom of the 1970s and '80s led to the development of feeder routes heading downtown. The plan "makes it a neighborhood street," says Pappalardo. "In a way, it's back to the future." That means reinventing the district as a walkable neighborhood that's an endpoint, not a cut-through. "We want Santa Fe Drive to be a destination," says Phare. "We have kids here, we want this to be a safe destination, not a thoroughfare, not a highway, not a speed zone." People headed downtown "are trying to get from point A to point B. We want Santa Fe Drive to be point B." With the district's success, gentrification and displacement threaten to upset the tricky balance between arts and commerce. Rents have risen and artists have moved. Jigg's Barber Shop, a fixture at 836 Santa Fe Dr., is closing after 56 years. Owner Eddie Gomez recently sold it to an as-yet-undisclosed buyer who's planning to open a gallery. Nonetheless, Santa Fe Drive remains a real urban street, with garages and lawnmower repair shops and carwashes. But the mainstays are now galleries instead of factories -- with the exception of a few manufacturers like Knotty Tie Co. -- and there's also a fair amount of new residential development. 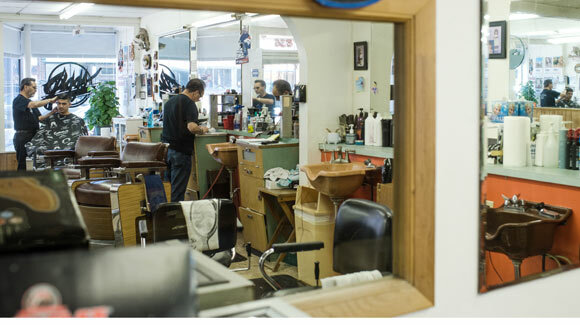 Jigg's Barber Shop is closing after more than 50 years on Santa Fe Drive. Photo by Kara Pearson Gwinn. A major catalyst is just three blocks west. "The thing that's tied the whole thing together is the Mariposa project," says Pappalardo. The mixed-income housing project is tripling its density with redevelopment, providing a nearby source of customers for businesses beyond galleries. But the rising price of real estate is a roadblock for up-and-coming artists looking to plant roots in the Art District on Santa Fe. Muralist Forrest Morrison has rented a studio in the district since 2012, and rent increased by nearly 30 percent in the last three years. "This isn't white picket fences, but there is open collaboration between neighbors here and a sense that we are all working towards the same goals," he says. "It's the kind of community I think many of us would choose for ourselves, and it has been invaluable to my practice and career." He's not alone, but it's getting harder to bring in new blood. In 2003, Jeanie King opened Fresh Art Gallery in the building that now houses Core New Art Space and Spark Gallery at 900 Santa Fe Dr. She bought it for $320,000 in 2002, invested about $250,000 in improvements over the years and sold it to public art maestro Lawrence Argent for $890,000 in 2016. King then considered buying another building in the neighborhood. "All the artists started calling me: 'Rents are going up,'" she says. "I thought maybe I could help out, but it's impossible to find an affordable building." As a result, she turned her sights northeast and bought a former pig farm on 11 acres in Commerce City, where she plans to open 12 studios as the first phase of Concept Colorado in late 2017. King says she now fears "a mass exodus" of artists from the Art District on Santa Fe. It's partially due to the emergence of a more mixed-use district. New breweries and restaurants are on the way, including Intrepid Sojourner Beer Project at 925 W. 8th Ave. and Smokin Yard's BBQ at The Yard at 2nd Avenue and Santa Fe. And there could be more to come. Says Pappalardo: "We're still looking for that one destination restaurant, a chef-driven restaurant. I've had discussions with a lot of them. Most mention parking as an issue." Phare says she likes the influx of new businesses, but describes it as a double-edged sword. "It's hard. I live in the neighborhood," she says. "Of course, I want access to more restaurants, bars, nightlife, shops and boutiques. But with that comes gentrification and I think about that every day." She says higher rent "pushes out the very reason this neighborhood came about. It could push out artists renting studio space. It could push out the rich Latino culture. I don't have the answer to that." It's not an easy problem to solve. Her all-volunteer board oversees an annual budget of about $30,000. "We just don't have the bandwidth," says Phare. "We don't have any paid staff. I've been putting in way more time than is sustainable." Metro State opened its Center for Visual Art at 965 Santa Fe Dr. in 2010. Photo by Kara Pearson Gwinn. 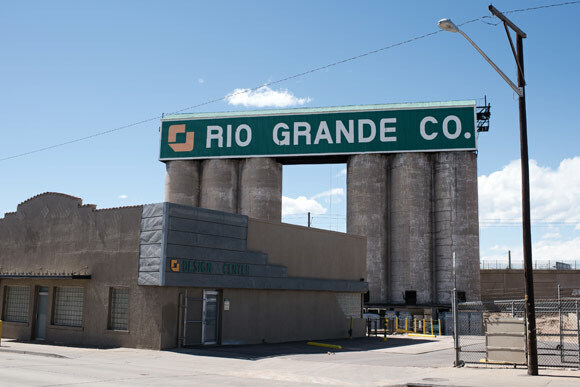 The Santa Fe Business Improvement District (BID), founded in 2014, is helping maintain the area between 7th and 12th avenues, but Phare says there's still a need for more resources. "We don't just get funding because we're an art district," she says. "We have to do out own due diligence to create a strong, fiscally sustainable plan." That involves more grant applications, more sponsorships, and more members. 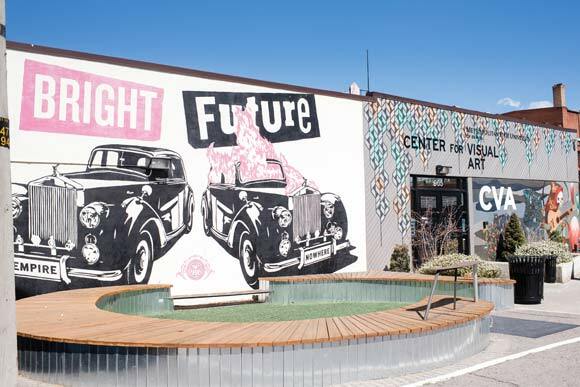 First Friday "is the one night we can actually make money," adds Phare, noting that street closures and a new art film series set for the CVA parking lot offer additional sponsorship opportunities. "There are businesses that want to support the arts." 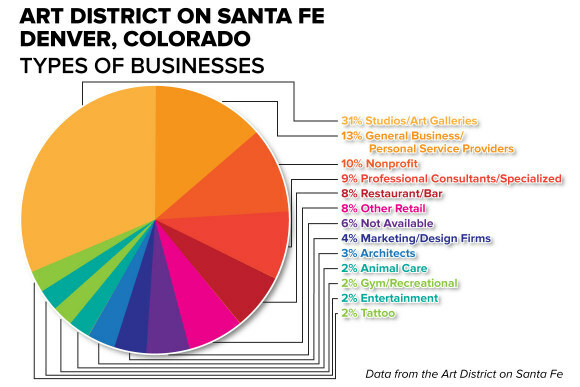 When Colorado Creative Industries (CCI) designated the Art District on Santa Fe as one of the first two Colorado Creative Districts (along with Salida) in 2012, Pappalardo elected to expand the boundaries beyond the heart of the gallery strip between 6th and 12th avenues on Santa Fe Drive; the district encompasses several blocks on Inca Street as well as the more industrial stretch of Santa Fe down to Alameda Avenue. "I did that because I saw what was happening in River North and how an industrial area was buying into creative industries," says Pappalardo. The southern end of the creative district is largely industrial. Photo by Kara Pearson Gwinn. Five years later, the move looks prescient. Burnett moved SPACE Gallery south three blocks to a new building in 2014. With an event-friendly gallery in mind, he signed a two-year lease on the vacant parcel at 400 Santa Fe Dr. "with couches and mattresses and junk all over” in 2011. Burnett couldn't afford to buy it, so he devised a plan, hired an architect and started shopping the idea to banks. "We did it in reverse," he says. Wells Fargo eventually bit, Burnett bought the lot and built the new and improved SPACE Gallery from the ground up. It opened in 2014, with capacity for 300 people at about 100 events a year. "Build it and they will come," says Burnett. "When there's a beautiful space with large walls, artists imagine their work on it." But it's part of a broader trend. Phare says high taxes stemming from property values increasing in RiNo are "why all of the artists are moving down to Santa Fe." Opening in Sept. 2016 after two years on Walnut Street, Rule Gallery at 530 Santa Fe Dr. is one of the more recent transplants from RiNo. Co-owner Valerie Santerli says she looked at spaces in RiNo as well as options on Navajo Street and Colfax Avenue before opting for the Art District on Santa Fe. Valerie Santerli is one of the owners of Rule Gallery. Photo by Kara Pearson Gwinn. She sees a benefit to being south of 6th Avenue. "The people who trickle down this way are very dedicated people who are willing to go further to see good art." Notes co-owner Rachel Beitz: "We've had a much better flow of walk-ins than we ever did in RiNo." Santerli adds, "I wouldn't participate in First Friday if we were up north." Why? It's too much of a party. But the Third Friday collectors-oriented events bring "a more sober, more mature crowd." And beyond Rule and SPACE, the creative district continues to see more energy flow into its southern reaches. Between 1st 2nd Avenue, The Yard is a former lumberyard that's now home to the Renegade Brewing production facility, furniture maker Fin Art and other businesses. Phil Bender of Pirate: Contemporary Art is looking for a new location for the Navajo Street gallery and considering a building on the 200 block of Santa Fe as well as a space at 40th Avenue and York Street, or possibly one in Lakewood. He says the deal is "up in the air," noting, "We hope it works out, but we're not sure it will. . . . The price kept creeping up." 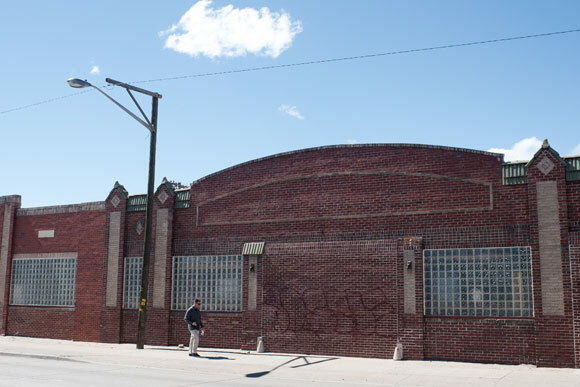 Industrial redbricks populate the southern end of the Art District on Santa Fe. Photo by Kara Pearson Gwinn. With the rising cost of real estate, Morrison says, "I do not think it's sustainable. I think we all recognize that an art district cannot survive without development that sustains and complements the creative sector and working-class artists." He notes that there's a massive disparity in rents; some properties are advertised as being "downtown" and priced higher than others. "A united real-estate identity would help stabilize rents in the short term, and would ensure we don't soon lose the community and culture that has made this neighborhood so valuable to begin with," notes Morrison. 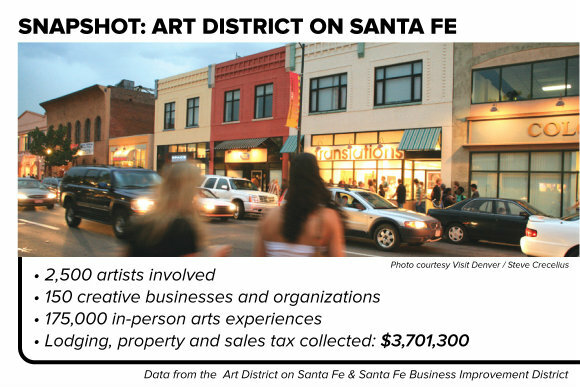 SPACE Gallery's Burnett says that more artists owning properties would provide a boost to the Art District on Santa Fe. "As long as people continue to rent, it's going to feel transient," says Burnett. "The best way to do it is buy a building, but most artists can't afford to do that. Everybody's kicking themselves now that they didn't." Artists and creative businesses need to look into favorable financing and incentive programs and leverage them, he adds. Jeanie King says that the 29 percent assessment rate on commercial property is a huge burden for galleries. "It would be really great of the state could make a tax break for arts studios," she says. "That would be huge." Michael Warren Contemporary opened at 760 Santa Fe Dr. in 2014. Photo by Kara Pearson Gwinn. Without a break of some kind, it might be difficult to keep galleries if the proposed improvements come to fruition. "We need the OED to help come up with a solution for that," says QUA+D's Raeburn. "If your building is owned by an artist or creative or houses artists and creatives, maybe there could be some sort of staggered tax increases." Financials aside, keeping the focus squarely on artists and their work is also critical. "Is it about the arts or the economics?" asks Pappalardo. "It's really financial support that we need and promotional support we need. I'd love CCI to partner with the Colorado Tourism Office more and get more buy-in from the City of Denver." He adds, "People are starting to circle back and discover us again. We really are one of the top districts in the entire country." And that's ultimately because of the creative people who work and exhibit there. 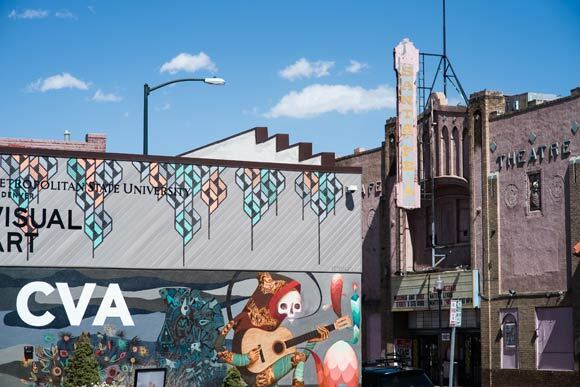 "You cannot start an art district," says artist Georgia Amar, Pappalardo's wife, and calls the Art District on Santa Fe a "grassroots, bottom-up" phenomenon. It's about the artists, their work and their ability to make a living, she adds. "The quality of art is getting better and better," says Amar. "Now we have to focus on the real McCoy." Murals at the Center for Visual Art. Photo by Kara Pearson Gwinn. Photos by Kara Pearson Gwinn. Rendering courtesy QUA+D. Macy Dorf is known as one of the forefathers of the Art District on Santa Fe. 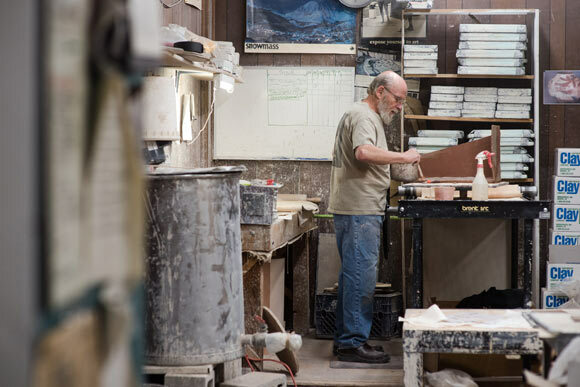 A potter by trade, he's worked at Artists on Santa Fe at 747 Santa Fe Dr. since the early 1980s and owned the building -- home to a gallery and numerous studios -- for more than 15 years. In his tenure, he's seen the neighborhood bloom into the center of the arts in Denver, and Dorf wants to keep it that way. 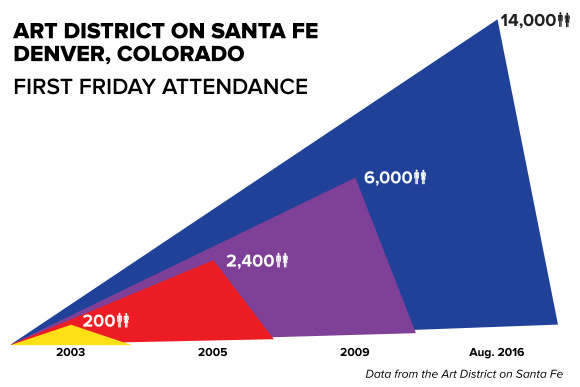 Confluence Denver: What is your history in the Art District on Santa Fe? Macy Dorf: I've been in the building for 35 years. The building has been artist's studios for over 50 years. During the time I've been there, I've seen quite a transformation. This was my fifth studio. Once you move a pottery studio, you never want to do that again. The premise of the building -- and I think that this applies to all art districts, especially Santa Fe -- this building allowed a number of artists to start their businesses and allowed us to create a product to sustain ourselves. Because the rent was cheap enough, you had the ability to build studios up and get equipment. It's the same thing with the neighborhood. It's allowed artists to build themselves up, create their work and show other people's work. CD: What catalyzed the district's rise? MD: I always say it started in spite of itself. What I found being in Denver for this many years, it's amazing. Each of these areas started out as a group of galleries. Everybody came out. It's something that always happened in Denver. There's an energy. People come out and wander from gallery to gallery. When I first moved in, there was eight to 10 people renting space, a few painters and a few potters. It was cheap rent -- I paid $100 for a good-sized studio. Because rent was so cheap, and the people were so supportive, it allowed everybody to do what they made. When I bought the building, one of the premises I went by is the rent should remain at the same level. My studio it the same exact studio. In my building, there's 29 people renting space. What that has allowed me to do, whenever my fixed costs go up, I'm able to spread it out among 29 people The rent may go up $10 to $15 a year. I'm trying to pay the bills and keep a roof over our heads. CD: How did you come to buy the building? MD: Eighteen years ago, I pulled up one day and there was a for-sale sign. I said, "Uh-oh." Now you couldn't afford it. It would be impossible for me to make the environment I have. I have a theory about art galleries: They are marginal businesses in low-rent areas. If you look at RiNo, it's becoming more expensive and they're all having to leave. Artists have got to step up and do more. They've got to figure out that that "more" is. It's the same thing with the city. If you don't help out the little guy who's struggling to pay the rent, you are not going to have an art district. CD: What are your thoughts on the proposed infrastructure improvements? MD: I say there are unintended consequences. I am in favor of the changes we are asking for, I'm really in favor of it. But there is a caveat. The caveat is the unintended consequences of all of this. That's a very important thing for Amy [Phare] and the board to think about and address. If this goes through, paramount on their shoulders is to sustain the art district. The fact is, if you're going to redo the street for two years, there's going to be an impact. Colorado Creative Industries, in conjunction with the art district and the city, is going to have to figure out how to sustain these businesses in order to reap the benefits of what this reconstruction will bring. What government entities can do is what they did for me. They need to figure out a way of subsidizing galleries and individual artists so they say, "We're part of this," rather than, "I was part of that." One does not have a magic ball. It's all supposition. It could be [maintained] if you figure out a creative way to continue to sustain the art district, and I think there are people giving a lot of thought to that. Macy Dorf at work. Photo by Kara Pearson Gwinn.